With a wide range of options, choose from the Museum Campus Tour, Art and Architecture Tour, Fireworks Tour, Haunted Tour, and Private Tours. Special arrangements can also be made for bi-lingual tours. 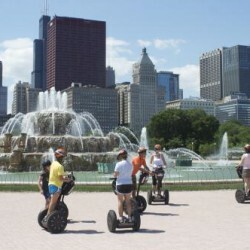 We are now offering the Haunted Segway Tour. 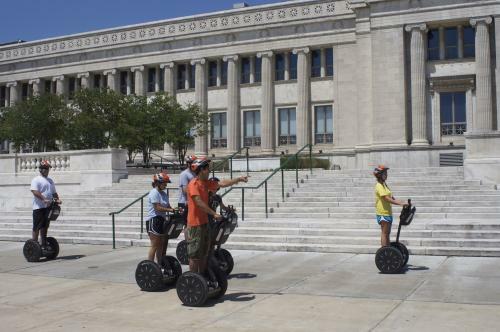 The first of its kind in Chicago, this tour showcases the sites of Haunted Fort Dearborn, the Iroquois Theatre disaster, the Morgue on State, the Dead Alley, and the past home of Al Capone's haunted yacht. Some say that the sounds of screaming can still be heard. We have more haunted places and stories to share, so come along and glide with us ... if you dare. Art and Architecture Tour - Chicago is world-renowned for its incredible architecture. Our guests will see examples of Chicago’s most famous sculptures, and be amazed by stories of the architects and buildings that made our skyline famous. 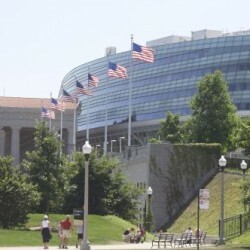 Museum Campus Tour- We’ll visit the scenic grounds of The Field Museum, Shedd Aquarium, Adler Planetarium and Soldier Field. This sightseeing tour has plenty of photo opportunities! 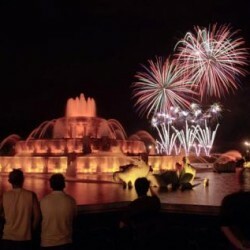 Fireworks Tour - This lakefront tour is absolutely breathtaking. 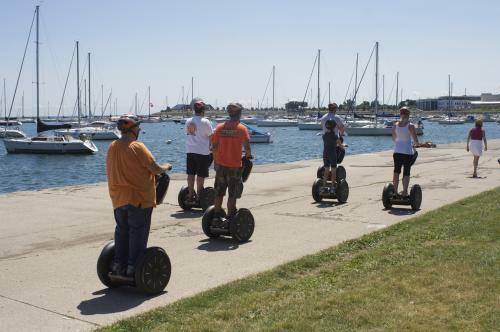 We’ll glide along the lakefront on The Segway Personal Transporter to our secret spot for viewing the City’s fireworks show. 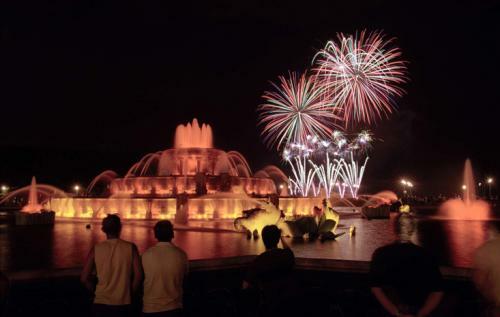 It’s difficult to decide which is more spectacular the fireworks or the Chicago skyline in its evening splendor! Seasonal. Private and Group Tours- If you’re planning a company event, get out of the stuffy conference room and into the open air with a private tour. 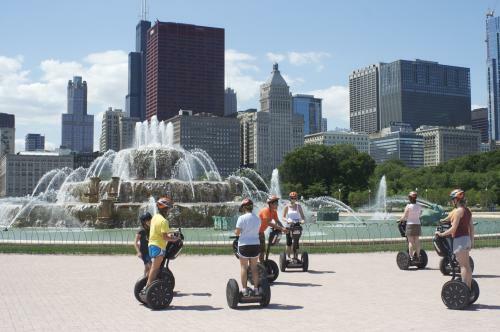 Choose from one of our standard tours or we can bring Segway PTs to you (within a 40 mile radius of Chicago) for a customized adventure. Translated tours are available. 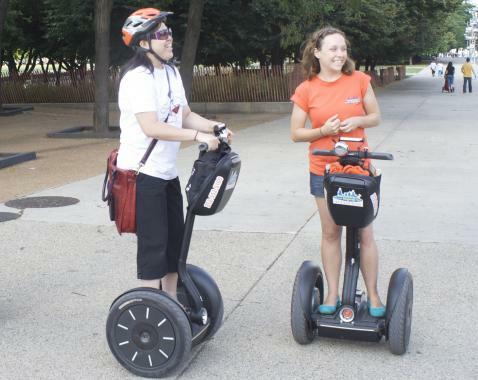 If your group is looking for a fun and unique way to strengthen relationships and build teams, try a segway tour team-building experience. 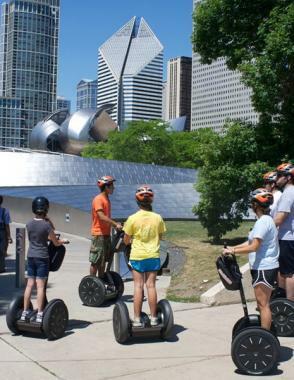 Absolutely Chicago Segway can accommodate small or large groups and we'd be happy to customize your team building activity. 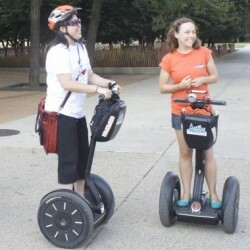 We'll plan your segway tour team-building event and present you with a number of ideas based on your goals. We can offer scavenger hunts, trivia contests for a little fun interoffice rivalry or have your team run the gauntlet through our obstacle course! The bottom line is that we’re happy to tailor a program to fit your desires. 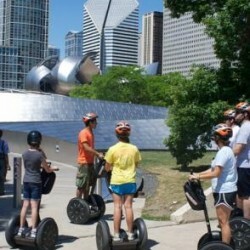 All of Chicagoland with our various tours! 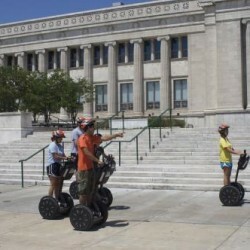 Anyone looking to see the sites and experience Chicago in a truly fun and unique way is a welcome guest! 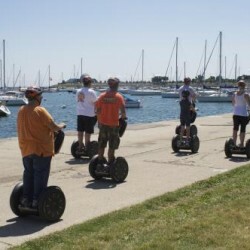 A Segway Tour is perfect for individuals or groups. And it's a great break from the usual convention or meeting activity. We're very unique in that we offer such a wide variety of tours. In addition to the traditional Museum Campus tour, we also offer Fireworks, Haunted, Art and Architecture, Private, and Translated tours. Don't miss the Halloween tour in October! 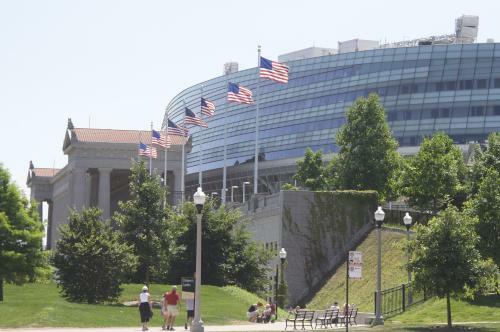 We're honored to have been featured by so many of the wonderful Chicago media, including NBC, ABC, Comcast, the U, and WGN.